New thornless blackberry variety with large fruit that ripens in early June. Upright , clumping habit works well as an accent, along borders, as an informal hedge, or mass planting. Attracts pollinators, including birds and butterflies. 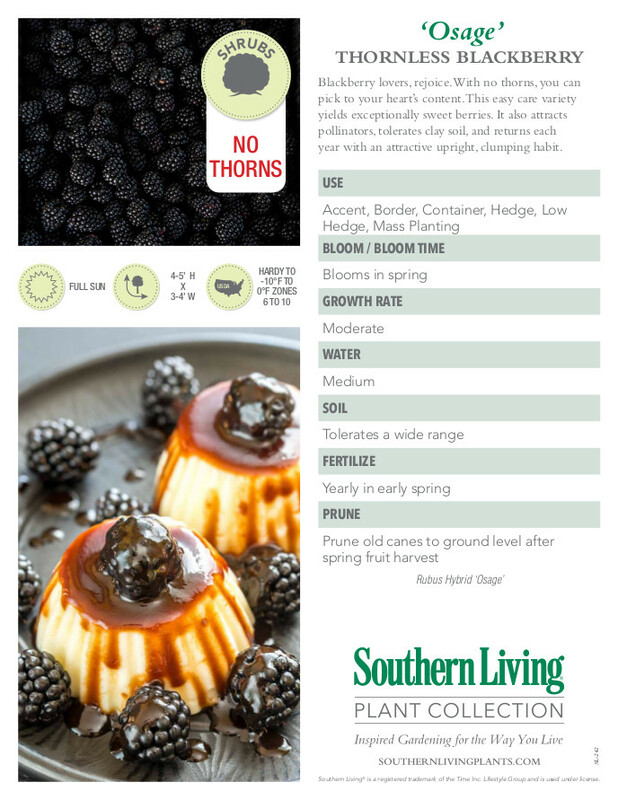 This easy care shrub returns year after year for those who love blackberries but hate the thorns. Fertilize yearly in early spring. Water well to establish and then weekly. Prune after spring bloom. Plant the Osage Blackberry Plants 3 feet apart with rows 7 feet apart.